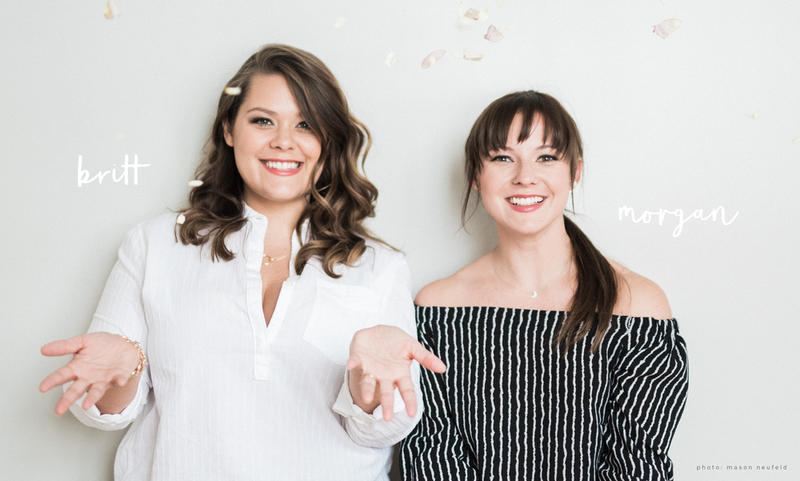 Sweet Pea & Noelle was Morgan’s vision — after attending numerous weddings and seeing the same dresses over and over, she thought Regina needed more options for its discerning brides, so she asked her sister, Britt to join her on this mission. Morgan treats every bride like family, with fun, honesty, and genuine kindness. Her eye for style and detail, and a fearlessly positive approach, helps brides find “The One.” A self-proclaimed penny-pincher, Morgan recognizes the importance of budget and helping brides stay on theirs. Morgan also has serious musical skills. Her talents range from playing Roxy Hart in Regina Summer Stage's production of Chicago to covering Shania Twain at the Craven Country Jamboree. You can also find her singing jazz with The Project at nightclubs throughout the city. Morgan shares her life with her partner, Reagan, her lovable husky dog, Jones, and Jetty, the cutest kitty ever. Britt’s enthusiasm and spirit make every bridal appointment a fun experience. She takes "You got this” to heart. She has a knack for putting everyone at ease with her caring personality and big laugh. Whatever your shape or size, she’ll help find you the perfect dress with the perfect fit. When Britt’s not helping brides feel like superwomen, she enjoys her downtime with some good food, fine wine, and weekends at the family cottage with her husband David and their big dogs Leonardo and Sloan. Britt has myriad talents. She holds a bachelor's degree from the University of Toronto, where she studied opera performance. She also speaks fluent Spanish. And most recently, she became a mom. Britt and David recently welcomed their first child, Talllulah, on June 1, 2018.